The harsh Australian sun can dry out your skin. Why not promote your brand and protect your customers skin with this soothing after sun lotion with Aloe Vera and Vitamin E. Transparent 50ml, recyclable PET bottle with stylish aluminium cap. 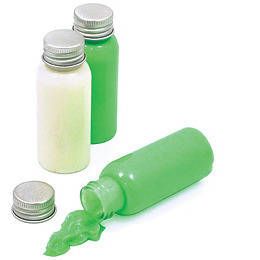 Fragrances/Colours: aloe vera (green), aloe vera (white).